We had lunch with Winemaker Francoise Antech (phonetically "on tesh") from Limoux last week and shamelessly asked a lot of questions. Francoise was both generous in her comments and candid. We tasted two of her sparkling wines paired with family style dishes at Rhubarb. "The wines are made in the Methode Champenoise but with different grapes," Francoise says. "Mauzac is from Limoux." First up, Rose. "I did not want to make Rose just for a barbeque!" says Francoise. Clara Vie Cremant Rose made in Limoux is a blend of Chardonnay, Chenin Blanc, Mauzac and a touch of Pinot Noir. This Rose is a hand harvested and hand crafted cuvee made from old vines growing close to the Mediterranean Sea. On the nose you will find small wild red fruits and spring flowers carrying over to a round, fruity palate with a clean finish. And the bubbles? Fine and constant. Next, Clara Vie Brut Nature, Blanquette de Limoux! A blend of 90% Mauzac with equal parts Chardonnay and Chenin Blanc. The wine is a yellow golden hue in the glass with those fine bubbles for which Francoise is known. Fresh aromas of green apples, honeysuckle and white flowers on the nose. the palate is white fruit, balanced minerality and a long finish. Francoise is a 6th generation winemaker. The family estate in Limoux sits in the South of France in the shadow of the Pyrennes and close to the border of Spain. "Bubbles were invented here in Limoux by the monks 150 years before Dom Perignon!" says Francoise. Francoise tells us that the winery has always been worked by women and only recently have men joined the inner winemaking circle. "Since I was born, I have always been in the vineyard and cellar and I took over 22 years ago," says Francoise. "My father, unlike so many, said that it was my choice." It did not take long to realize that the path she had chosen would not always be easy. The climate is difficult and there is always the threat of a fatal frost in the winter. Sometimes nature can take from you. "But," says Francoise, "nature always gives you something back, every year is different and you never know what the juice will be like." Francoise works as close to nature as possible. Through leaf analysis, she can determine what the soil needs and she gives the earth ONLY what it needs, no more. "Everything is possible in the vineyard." But is the wine natural? Francoise bristles, with not only the approval but vigorous agreement with everyone seated at the table, at the term "natural." Limiting interference and manipulation is "just what you do," says Francoise. "We interface just enough." But not every aspect of the wine business is within your control. Shipping is a big issue with Francoise. Everything involved in shipping wines around the world has a negative environmental impact. "We try to compensate in the vineyard to restore an ecological balance," says Francoise. But how? "We plant trees, almond, fig, fruit and cypress!" While Francoise totally enjoys making wine, what she is really passionate about is the comaraderie with other women winemakers. She is a member of Vini Filles (http://www.vinifilles.fr/), a group of over 280 women winemakers in France. Started over 10 years ago, a gathering has good food and good wine. "But, mostly, it is about choosing family," Francoise says. "These are my sisters." The pricing and style of these wines make it possible to enjoy bubbles everyday. And this is a goal for Francoise. "Bubbles, make life better!" Francoise produces 850,000 bottles each year exporting 60% of her wine to 30 countries. Most of the wine goes to the UK, USA, Canada, Japan and Italy. Both wines also have a healthy market in Taiwan, Singapore and Russia. "Very good with sushi." When not drinking her own wines, what does Francoise prefer? "Sancere and Burgundy," she says. "I prefer wines that are not oaked, I want to taste the terroir." Francoise does really enjoy Bordeaux but says it is too expensive. "I prefer Languedoc" she says. "I am looking for quality to price, not just a big name." What about wines from this country? Francoise finds some bottles of Pinot Noir from Oregon to be "beautiful." Francoise wants you to know that her trademark fine bubbles are not just about the wine. It's about the glass too. "The bubbles depend on the soap you use for cleaning," says Francoise. "You must rinse the glass thoroughly with just water. And if you use an automatic dishwasher, don't use any rinse liquid." "Wine should not be complicated," says Francoise. "It makes life better and builds good relationships." WOW. What a night. Michele D'Aprix is not just a great winemaker but a natural comedienne! About 35 participants came out to welcome Michele. We learned. We laughed. We left knowing all about Bordeaux. You know from previous posts that Michele was studying chemistry and bartending in Boston. I would not say that she is an accidental winemaker but there are some elements of chance in her story. She took that chemistry degree and what was becoming an interest in wine to University of California Davis. Her interest strengthened and before long she had realized that her future would be to channel her chemistry background into oenology. While working down the wine road at UC Davis, Michele was told that the only way to really become a winemaker is to just DO IT. That means you need internships. OK. Michele landed an internship in Burgundy. It was going fine but she found herself interested in getting dirty with grapes beyond Pinot Noir. So, while building her vineyard and winemaking skills in Burgundy, she heard about an opportunity in Bordeaux. Truth be told, Michele thought it would be a hard road to hoe in Bordeaux, a small, shall we say, very traditional (read male dominated) community. But she wrote to the Chateau anyway. "This was like writing to Bruce Springstein and saying I just bought a guitar, could you give me lessons?" But the answer is already No if you don't try. Right? The Chateau said YES! Come on down. Michele said that they, like so many others in France, thought she would be a boy. Her last name is French and Michele is often a boy's calling card. Michele lives in NYC except during the harvest in Bordeaux and trips around the country to showcase her magic. And much of her family lives in Raleigh. The master of the house at the Chateau was not a winemaker but rather a a made it rich Microsoft guy who thought it would be fun to own a winery. That said, Michele pretty much had the run of the place from the get go. So, Michele is working the vineyards and stirring the pot. It was (and is) hot in the vineyards and the cellar. Microsoft guy served lunch everyday but it was usually heavy dishes like cassoulet paired with big red wines. It is Bordeaux after all. But it is also hot. Michele wanted to lighten the lunch load with a crisp white wine. She found an extra tank at the Chateau and commenced to bringing the light to the table. The winery across the street was growing Sauvignon Blanc (SB) and Michele took the extra grapes. Bonanza! Michele was the recipient of more grapes than the tank could hold. About 5% of space was left between the grapes and the lid. Not good. If the tank is not fully filled with grapes, air fills the gap and the wine can become oxidized. OK. Regroup. 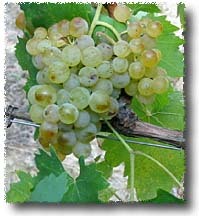 Michele added 5% of the white varietal Semillon. This addition of Semillon to the SB turns the wine into White Bordeaux. The wine is good. All the spark of SB but with a smoothness from the Semillon. Pierre Angulaire White Bordeaux was born but was still just a table wine at the Chateau. And there are still lots of homeless SB grapes across the street. More tanks, Michele thought. With all the easily accessible SB grapes and the initial success with white, Michele sought out more available tanks. She found some at a winery down the road. The winemakers that tasted the blend loved it and urged Michele to bottle it for sale. Now Pierre Angulaire hits the market! But Michele is devoted to red wine, and while she produces an excellent White and Red Rhones as well as Rose, Bordeaux is still her passion. She bottles "Pentimento," a blend of 75% merlot and 25% Cabernet Franc. Somewhere along the line, she met acclaimed winemaker Stephane Derenoncourt (https://en.wikipedia.org/wiki/St%C3%A9phane_Derenoncourt) who shared his genius with her. Pentimento justs gets better and better. Michele told us why she named the bottle Pentimento. The name is taken from a 1973 book by Lillian Hellman about the layers of her life (https://en.wikipedia.org/wiki/Lillian_Hellman) Wine is like that too. Layers. From the workers in the vineyard to the retail store. Layers. But, of most importance, Michele said that MetroWines was one of two favorite wine shops anywhere. Believe it! Thank you Michele and back at you! Winemaker Michele D'Aprix joins Andy Hale, Director of The Asheville School of Wine, for a class on Bordeaux! on Tuesday, March 26th from 5:30 to 6:30 @Metrowines French Cafe. Andy Hale will set the stage for the class with general information about the Bordeaux region and Michelle D'Aprix will present the facts about the region and the wine from a winemaker's point of view as well as share an insider's guide to the "real" Bordeaux. Originally from upstate New York, Michele started as a bartender in Boston while studying chemistry. Her expertise in multi-tasking landed Michele a job at Dry Creek Winery in California. From there, Michele attended U.C. Davis earning a degree in Viticulture and Enology. Today, she is a protege of Stephane Derenocourt, one of the most important consultants in Bordeaux. Most importantly, we understand that Michele is the only American woman making wine in Bordeaux! Some have called Michele the "new face of Bordeaux." $25 for the French Cafe evening incorporating the presentation, French cheese paired with wines from Michele D'Aprix including her highly regarded and very popular Pentimento 2014 Bordeaux. "Seating is limited and will be in sell out risk demand," says Gina Trippi, co-owner of MetroWines. "Michele has been a guest @MetroWines five times, is both well known and appreciated." Winemaker Michele d'Aprix pours 5 of her wines on Wednesday, November 21st, from 3 to 6pm @MetroWines just in time for Thanksgiving. Today, she is a protege of Stephane Derenocourt, one of the most important consultants in Bordeaux. Most importantly, we understand that Michele is the only American woman making wine in Bordeaux. Some have called Michele the "new face of Bordeaux." Wines "on the taste" and "on the house" include her popular Pentimento 2014 Bordeaux, 2017 Maz Caz Blanc White Rhone Blend, 2016 Maz Caz Rouge Red Rhone Blend, 2017 Pierre Angulaire Sauvignon Blanc and Maz Caz Rose. "Word is that Michele is serving her Maz Caz Wines for Thanksgiving with her family in Raleigh," says Gina Trippi, co-owner of MetroWines. "Michele tells us that this vintage of the Rose is especially perfect for the holiday table!" Although he always enjoyed visiting vineyards and attending tastings, Giuseppe Maria “Giugi” Sesti did not initially choose a career in wine. Instead, his Venetian upbringing inspired him to study music, art, and astronomy, the last of which became his profession. He met his future wife in North Wales while writing his first book on this topic, and in 1975 Giugi and Sarah moved their family to Tuscany, where they bought the abandoned ruins of the hamlet and castle of Argiano, slowly clearing the land and restoring the buildings to create the breathtaking estate we see there today. Giugi was now a father of four, vice-director of a local Baroque opera festival, and actively writing books on astronomy, but he miraculously found spare time to visit local wineries and help his neighbors in the vineyards and cellar. His passion for wine grew along with his experience, and in 1991 he planted his own vineyards on the slopes around the castle. The children helped pick and stomp grapes from the earliest age, and though they, too, pursued international studies in various fields, they always managed to come home for the harvest. In 1999 the couple’s only daughter, Elisa, joined the estate full time, and today she is an active partner in all aspects of the vineyard management and winemaking. 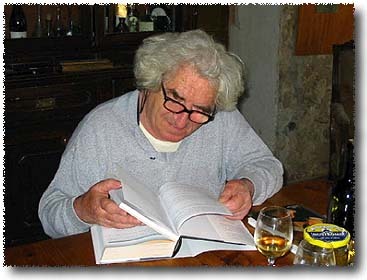 While helping out at neighboring estates Giugi observed that simplicity and careful attention were the most important factors in producing great wines, while chemical intervention skewed their delicate balance; so he determined to make entirely natural wines right from the start. He even took a pioneering extra step by applying his prodigious knowledge of the moon’s influence on living things to his vineyard management and winemaking. Today the family continues this thoroughly eco-friendly philosophy (although no official certification currently meets their personal standards), and Elisa’s primary concern is the materia prima, or raw material, that goes into the wine. The Sesti lineup includes a white Sauvignon and a Sangiovese Rosato born directly of necessity, since the family wanted something light and cooling to drink under the hot summer sun; they were forced to increase production when visiting friends and clients tried these wines and started placing orders. But their basic trio—the Brunello, Brunello Riserva “Phenomena,” and Rosso di Montalcino—provides traditional expressions of the appellation, robust and powerful yet refreshing, with great aging potential in the Brunellos. "History in the Making: A Celebration of Women Winemakers Across the Globe"
Celebrate Women's History Month! Please join MetroWines, Mutual Distribution, Great Harvest Bread Company and Chef George Delidimos for "History in the Making: A Celebration of Women Winemakers Across the Globe" on Wednesday, March 28th from 6 to 9pm at Golden Fleece in Asheville. "The evening celebrates women who worked their way up to be winemaker," says Gina Trippi, co-owner of MetroWines. "These women winemakers were not born to the job, some started sweeping the winery floor!" Chef George Delidimos will create an original four course menu to honor these winemakers. Juniper Cooper of Mutual Distribution will tell us the story of the winemaker behind the wine paired with each dish. Great Harvest Bread Company will provide freshly baked breads for the evening and cookies, cookies, cookies! Wines featured will be from Argentina, Spain, Italy and California. The dinner is $65 plus tax and gratuity. Please reserve your seat by calling Golden Fleece at (828) 424-7655. Plenty of free parking. We had a great evening @MetroWines with Suzanne Tate of TATE. Sometimes Napa Valley Wines are just too big. But TATE has the formula. Hearty, roust wines that are still elegant. And you might say that is just wine speak. But it's like a balance beam. Not so easy as you might think. Based in St. Helena in the Napa Valley, the winery is a two person business, David and Suzanne Tate. That's it. David Tate is the primary winemaker but Suzanne adds her touch on occasion. A native of British Columbia, David graduated Brock University with an Honors Degree in Enology and Viticulture. He has worked all over the wine making world for 22 years. In addition to making the wines under his own label, David remains the winemaker and manager at Barnett Vineyards, one of the most renowned boutique wineries in Napa Valley. Prior to his work with Barnett, David was assistant winemaker at Ridge Vineyards for five years. David has also worked in the Barossa Valley in Australia, Provence, and Canterbury, New Zealand. I asked Suzanne what do you want people to know about your wines? "All wines are from single vineyard micro plots. We have a history of working with small family farms to make small production wines," says Suzanne. "We offer about 1000 cases total each year." Suzanne describes the 100% Merlot as having "not as much oak to express a purity of fruit." The Cabernet is a "lunch Cab" says Suzanne, not as heavy as the bottle from Mt. Veder. The fruit is from the Bacchus Vineyard which grew wild from Prohibition until 2010! It is an ideal site on a 30% slope with volcanic soil. The Mt. Veder 100% Cabernet has "subtle tannins and brooding blue notes," says Suzanne. And then there's Howell Mountain, the REALLY BIG BOY. Only 75 cases of this masterpiece aged in French Oak for 22 months, 100% new. WOW. BIG. But, as aforestated, elegant. Finally: This just in! Suzanne says she and David may be able to join us by SKYPE for a holiday wine tasting. We are thinking to call it "Home for the Holidays with the Tates! The four Drouhin children oversee all aspects of the company, with Véronique Drouhin-Boss as winemaker for both the Oregon winery and the French winery. Their father, Robert Drouhin serves in myriad capacities but he’s best known for his pioneering vision. Robert was one of the first to introduce biodynamic practices to Burgundy and was integral in creating a Domain in Chablis because of his belief in the area’s terroir for Chardonnay (back in 1968). Given the deeply rooted Frenchness of Drouhin it may have been a bit of a surprise to some when Robert Drouhin did something even more visionary and took a gamble growing wine in Oregon back in the 1980’s. “My father liked the topography and identical climate in Oregon. He considered California, but felt overall that it was too fertile and the soil too rich to produce wines with aging potential,” explains Véronique. His instincts were once again proven correct. 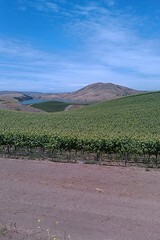 Today Oregon land, specifically the Dundee Hills where Drouhin set up shop, is prime Pinot Noir growing country. Because she has the unique view of making wine on two continents, I asked her to talk about New World versus Old World and what she’s learned from her American experience. Fermentation:Following local tradition, the must macerates long on the skins, and is pressed just before the fermentation begins, to capture the character and the flavors of the land. Pale yellow, tending towards gold, with hay and almonds on the nose, and rich on the palate, with a firm dry finish. Food-Wine Pairings: Perfect for ideal for olive oil-based Mediterranean dishes. Well suited for all manner of seafood dishes, including raw fish, and is perfect with sushi. For vegetable based dishes year round, including the tannins of artichokes or asparagus, and the iron of spinach and liver. We came to Montenidoli in 1965, drawn by the spirituality of the gold-backed Madonnas with Child painted by the XIII-XIV Century Sienese Masters, works that broadcast a unique message to the world. Sergio, the Patriarch, was a teacher, and we had many children, many with special needs, for whom Montenidoli was a happy nest. And when they took flight the abandoned lands remained, waiting to be brought back to life. For the farmers had abandoned the hill in the early 1900s, drawn by the two Great Wars and the promise of industry. The vines were overgrown by brambles, while the olive trees had gone wild. But Elisabetta had the land in her blood, thanks to her family, which had cultivated vines and olive trees in Custozza, not far from Verona, since the 1700s, and also thanks to her childhood, spent wandering the vineyards of Valpolicella. Following her family traditions, they respected the land, cultivating it with exclusively organic methods. Sulfur and copper are the only substances used to fignt parasites, and only if absolutely necessary, because they believe sunlight and clean air to be the best medicine to make the vines healthy, strong, and resistant to disease and bad weather. The vineyards multiplied, planted to the indigenous varietals: Vernaccia, san Gimignano's historic white grape, Sangiovese, Canaiolo, Trebbiano Gentile, and Malvasia Bianca -- The traditional grapes of Chianti. The first wine was born in a great vintage -- 1971. It enjoyed the honor of being one of the first wines commented upon by Luigi Veronelli. Vernaccia di San Gimignano has always been San Gimignano’s classic white wine. The Pliocene soils around the City of the Fair Towers, which were once submerged by the furthest reaches of the Ligurian Sea, were the perfect habitat for molluscs whose shells make the terrains highly calcareous. Up to the ancient sea level, mid-way up the hills, it’s the perfect terrain for great white wines. The climate of the Tuscan countryside is temperate, and dry in the summer. It’s a perfect climate for great red wines, and indeed our valleys are renowned for them. We have always considered Vernaccia to be the red of white wines: the grapes may not yield highly fruited bouquets, but the wines are vigorous and long-lived: mineral wines of great power and structure that profit from wood and display excellent aging capacity, with their bouquets gaining interesting secondary aromas with the passage of time in bottle. The same bunches, depending upon how they are fermented, will yield different structures and flavors, making for different wines that do share a common identity. Fermented on the skins, it is traditional and ideal for olive oil-based Mediterranean cuisine. Matured on the lees, it's refined and elegant, and perfect with haute cuisine. 12 months in wood make it a meditation wine, in the manner of the great reds. Just in time for Thanksgiving, Gaetana Jacono Gola, owner and winemaker at Valle Dell'Acate in Sicily, joins us LIVE via Skype from Sicily for a tasting of her new wine, "Il Moro." Join us for this "on the house" LIVE tasting on Friday, November 20th at 11:30am @MetroWines. This 100% Nero d'Avola is made from 20 year old vines grown in very dark, almost black soil with a good presence of small dark stones. The wine presents a good structure with aromas of red berries, blackberries, raspberries, cherries and dark chocolate. With strong but pleasant tannins, the wine is balanced and very pleasant. "This is a limited edition wine," says Gina Trippi, co-owner of MetroWines, "but abundantly affordable and perfect for the holidays as a gift or on your table." BLACK EARTH: vineyard c.ca 120 meters above sea level with the ground very dark, almost black, of medium tending to compact with a good presence of small dark stones. It is a vineyard of c.ca 20 years and produces a Nero d'Avola, called the Moro , good structure but where the aromas of red berries, blackberries, raspberries and cherries are a marked much as is dark chocolate tannin good strength and very pleasant. Join the Asheville School of Wine for a Wine Tasting with Mark Donati of Donati Family Vineyard on Tuesday, October 27th from 5 to 7pm @Metrowines. The tasting is "on the house." Successful winemaking must be a cooperative effort on behalf of our vineyard and winemaking teams. Under the direction of our winemaking team, Donati Family Vineyard grapes are grown to standards that deliver the highest quality. The vineyard field staff monitors the vineyard blocks throughout the year and pick the grapes at the ideal time. Once the grapes arrive at the winery they are again inspected for quality. For our white wine program a whole cluster press is used to extract the juice. After a gentle pressing, the juice is immediately transferred to stainless steel fermenters for a 24 hour cold settling. The white juice will ferment for approximately 30 days at 55F until “dry”, yielding no residual sugar. Post primary fermentation the whites are fined and filtered before being botted the following spring to preserve the aromatic qualities in each variety. Red grapes are de-stemmed and pumped directly into the fermentation tanks. We utilize both static and open top fermenters in our program. During fermentation the must is allowed to reach temperatures up to 85F to extract the intense color and flavors the Donati wines are known for. The red varietals will ferment for 7-10 days, then the wine is racked to another tank and the remaining skins, seeds, and pulp is gently pressed. The aging process for our red wines begins in a combination of both French and American oak barrels from a select group of coopers. The red wines are barrel aged for 12-18 months. During this time, a continuous sensory assessment of each lot gives us the ability to designate the premium lots for our higher-end wines. When those lots are selected the wine is racked and blended and stored in barrels until bottling. The red wines are bottled “un-fined and unfiltered” to preserve natural flavors and aromas the grape varietals have to offer. Overall, the winemaking team brings hands-on experience, analytic knowledge and a strong dedication to the industry. We are here to make the best wines possible to share with you. Please visit our web page detailing the varietals and blends that we have to offer. Denise Valoff joined the Donati Family Vineyard team in 2007 as the Assistant Winemaker and became the head Donati Winemaker in 2011. She has been involved in the wine industry for the past 15 years and gained her knowledge primarily through hands-on experience. Not knowing that it would lead to a career, she began working in the laboratory at one of the industry's largest wineries while attending Cal Poly. After working in winemaking during harvest she was hooked and continued to work in production throughout her college years. 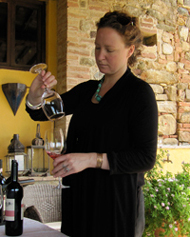 Upon graduation she went on to become the Assistant Winemaker for a smaller and more handcrafted winery. Her knowledge began to grow rapidly being exposed to the different facets of wine production by working in the cellar, processing fruit, and bottling. Her degree in Food Science gave her strength in the chemistry side of winemaking and her continued experience has been a continual education in winemaking. Moving on from there she went to work for a custom crush facility. She managed the laboratory, ensuring product quality through science. Being a large scale facility she gained more experience in the lab setting through automation, however, knew that she wanted to be a part of winemaking again. Denise found her home at Donati Family Vineyard where she is involved in all aspects of wine production. “The greatest reward about our jobs is seeing people enjoy what you have worked so hard to make. Working with an agricultural product has its challenges; you never know what Mother Nature may bring and then you try to make a high quality product that a wide variety of individuals will enjoy. This constant challenge is what makes winemaking exciting”. The vineyard is planted to various select clones of Chardonnay, Cabernet Sauvignon, Merlot, Cabernet Franc, Malbec, Syrah, Pinot Grigio, Pinot Blanc and Petite Verdot. Vine selections are carefully screened for viral diseases prior to planting, ensuring that the future of the vineyard is secure, and that vine health and fruit integrity remain intact from planting through harvest. Matt Donati believes in hands-on year-round vineyard management to create an environment where the grapes themselves can be left alone to thrive during ripening. Regular, judicious thinning of shoots during the growing season, attention to every detail of vine canopy training and light management within the fruiting zone, pre and post-veraison green fruit removal, along with scientific analysis of soil and leaf moisture throughout the growing season ensures that every aspect of the Donati Estate viticultural program contributes to the success of the vintage. Primary efforts are directed at sustainable farming, allowing for natural predators and reduced use of pesticides to provide a clean, hospitable environment for vine growth and fruit maturation. Of course, this path of action requires extreme diligence in scouting for possible problems. But, with active personnel regularly hand-tending each and every vine, the family is gradually learning that effective and efficient sustainable practices can indeed make a significant difference in both the local environment and in the ultimate grape and wine quality. It’s no secret Italians have a love for the vine in their blood – Ron Donati is no different. In 1988 when he purchased the Paicines property, his vision was for his sons to grow high quality, unique grapes from the 9th oldest AVA in California. Soon, after rave reviews of the fruit, Ron Donati got to thinking…good grapes make great wine. Thus is born Donati Family Vineyard. In 2003, Donati produced Merlot, Cabernet, Meritage, Chardonnay, and Pinot Blanc. They held these in bottle until 2005 when they started hand selling the product to great restaurants and boutique wine shops. Again, their ears were burning with positive reviews and re-orders from customers. They had so many requests from the public to get their hands on their wine – Donati couldn’t turn them down. Though Paicines offers a lovely home for their grapes, with a population of 204, it’s not the best place for a Tasting Room, so they chose Templeton, CA (right outside of Paso Robles) for their new home. March 1, 2007 was their first day of business in the Tastig Room, and they are still enjoying the continued support and love from their customers. Mark Donati became President of Donati Family Vineyard in early 2010. Prior to becoming President, Mark ran family businesses in California ranging from Real Estate Development to Agricultural ventures. Through hard work and dedication, he effectively grew these businesses into successful ventures. Starting in 2010, Mark began a total reorganization of Donati Family Vineyard by taking a small local winery and transforming it into a national brand with distribution in 30 states. Today, Mark continues to strive to make Donati Family Vineyard into a world-class winery, producing some of the finest wines from California’s Central Coast. Mark currently resides in Templeton, CA with his wine, Tracy, and their three children: Veronica, Nicole, and Nicholas. "The 2012 Proprietory Red Blend Vin Perdu is a creative blend of Cabernet Sauvignon, Syrah, Merlot, Cabernet Franc and Petite Verdot. Floral, peppery, spicy, meaty notes, good acidity and attractive freshness and purity are hallmarks of wine consultant/winemaker Heidi Barrett. This cuvée has the most potential complexity of this trio, but like its siblings, it is still youthful, holding much of its charm and character in reserve. Nevertheless, the dense ruby/purple color and the beautiful fruit that can be coazed out suggest a medium to full-bodied red that should hit its peak in 4-5 years and last 15 or more years." "Heidi Barrett has been the winemaker for many of the top Napa Valley cult wines such as Screaming Eagle, Dalla Valle, Grace Family, Paradigm and more." "The challenge of producing a Napa Valley Merlot in the style of the great Pomerol wines such as Petrus and Le Pin inspired Heidi Barrett to create Amuse Bouche wine." Robert Parker has dubbed Heidi Barrett "the first lady of wine." Heidi Barrett grew up in the Napa Valley in a winemaking family and was destined to become one of California's leading winemakers. It is said that winemaking is a combination of science and art. With a scientist-winemaker father and an artist mother it is no big surprise that Heidi was drawn to the wine industry. With great enthusiasm, a love for what she does, and an incredible wealth of experience, Heidi blends the art and science of winemaking like few can. Through high school, she spent her summers in wineries and vineyards, taking on all jobs from sorting vine cuttings to bottling line work. She then continued her winemaking education at UC Davis. While at Davis she was an assistant to Dr. Ann Noble, the developer of the aroma wheel. Heidi also did an internship at a large co-op winery in southern Germany, which produced many varieties of wine, both whites and reds. There she learned the art of making balanced wines, no matter what the variety. After graduating from UC Davis in 1980 with a B.S. Degree in Fermentation Science, she went to work for Justin Meyer at Franciscan Vineyards and Silver Oak. After subsequent crush jobs at both Lindeman's Wines in Australia and Rutherford Hill, Heidi Barrett became assistant winemaker to Jerry Luper at Bouchaine Vineyards. Then in 1983, at age 25 became winemaker at Buehler Vineyards. It was here that she first attracted critical acclaim by greatly improving the wine quality and taking the production from 6,000 cases to 20,000 cases. This wide range of experience has given Heidi a unique insight into winemaking. "I think it is important to have a wide variety of experience to draw from. You can't just step in and be the winemaker unless you have a lot of experience in the cellar. I wanted to make sure that when I finally had the title of winemaker, I had earned it." 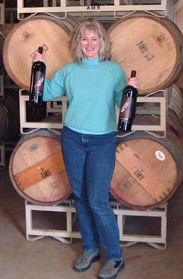 In 1988, she left Buehler to become an independent winemaker (freelance), making wine for a number of small wineries. Within a week she was hired by Gustav Dalla Valle and was winemaker at Dalla Valle Vineyards until spring 1996. It was there that she took her abilities to the next level creating some powerful yet elegant Cabernets, including the famous "Maya" cult wine, a proprietary Cabernet blend that received two perfect 100 point scores from Robert Parker ( the '92 and '93) as well as record breaking bids at the Napa Valley Wine Auction. She started making wine for Screaming Eagle in 1992, which has also received two perfect 100 pt scores (the '92 and recent '97). A 6-liter bottle of '92 SE set a world record for the highest price ever paid for a single bottle of wine at the 2000 Napa Valley Wine Auction selling for $500,000. A vertical offering of this cult wine went for $650,000 at the 2001 NVWA. Since 1988 she has developed an impressive client list of ultra-premium wineries. In addition to her very own wines from La Sirena, she is currently the winemaker for Amuse Bouche, Paradigm, Lamborn, Kenzo Estate, Au Sommet, Vin Perdu, and Fantesca. Past winemaking clients include Screaming Eagle, Dalla Valle, Jones Family, Grace Family, Vineyard 29, David Arthur, Barbour Vineyards, and Showket. "I like the challenge of working with so many different wines. My philosophy is to make the best wines possible with emphasis on the unique characteristics of each individual vineyard. I try to maximize the potential of each vintage in a very balanced, elegant style of winemaking"
Heidi also started making her own wine, La Sirena in 1994 with a tiny production of Sangiovese. "I was looking for a name for my wine which would be as magical as I think wine is. La Sirena which means "the Mermaid" in Italian and Spanish is a way of representing two of my great passions". 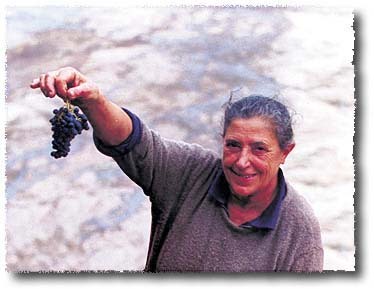 In 1996 she made the first Cabernet Sauvignon for La Sirena and in 2000 the first Syrah. In 2002, Heidi partnered with longtime friend John Schwartz to create Amuse Bouche, a Pomerol-inspired Merlot from Napa Valley. Recognizing that the cult wine phenomenon has created an almost aspirational class structure among collectors, the partners decided to make this limited edition wine available to a much broader consumer base. Winemaker Heidi Barrett explains, "We have created Amuse Bouche, a limited edition, superb Pomerol style wine with the added value of limited edition art that is available to consumers through a variety of channels." She has been a wine judge at various competitions over the last 20 years, was president of Napa Valley Wine Tech, and has graced the covers of both The Wine News and The Wine Enthusiast. She has been a featured guest on several television programs, was winemaker of the year, made Parker's list of wine personalities of the year 1994,1995 and is on Parker's wine heroines list of 1998 (one of two from the US). Parker has dubbed her the "first lady of wine". Heidi Barrett lives in Calistoga with her husband, Bo (winemaker at Chateau Montelena) and their two daughters, Remi and Chelsea. She is a well-liked and respected winemaker in the Napa Valley. She also very much enjoys being a mom, skiing, painting, and her garden. We confess... We went French this vintage. On the art, that is! We couldn't resist. For our Amuse Bouche 2012, we commissioned celebrated Parisian artist, Marc Clauzade, to create the gorgeous painting featured on this label: Le Bar à Vin. Born in 1957 and raised in a family of art and fashion (both grandmothers were designers for France's top fashion houses in the 1930s), Clauzade embarked on an education in engineering before acknowledging his passion for art and enrolling at the Beaux-Arts school in Toulouse. Shortly after completing his training, he was awarded the coveted Grand Prix Oil from the FIAP Paris Salon. His art is now exhibited worldwide, including stateside at institutions such as the Galerie d'Art Français in New Orleans and the Galerie Rue Toulouse in Carmel. Clauzade uses flowing brushstrokes and contrasting lines to create flirty, colorful personalities in retro-chic milieus. The French Art Network hails Clauzade as "the first artist to reinterpret Lautrec and Dégas in over 100 years." Visit www.clauzade.net to learn more about Marc Clauzade's work. We harvested the Amuse Bouche 2012 on October 2 from our lofty vineyards in the east Rutherford Hills of Napa Valley. The blend of 95% Merlot and 5% Cabernet Franc is currently resting in a combination of Taransaud, Radoux and Gamba cooperage, awaiting its March 2014 bottling date. 575 cases were produced. We will ship your wine in the fall 2014, weather permitting. You will receive your limited edition lithograph of Le Bar à Vin once you secure your allocation. Our lithographs are produced on 19th-century presses and hand signed and numbered by Marc Clauzade. "Bright, silky and elegant with tangy plum and fine acid structure; juicy and pure with finesse and huge aging potential. 95% Merlot, 5% Cabernet Franc." "The 2012 Proprietory Red Amuse Bouche offers juicy blue and red fruits along with surprisingly noticeable acidity, good cleanliness and purity, and a style that falls somewhere between a French Bordeaux and a Napa red wine. Although still youthful, it displays a potential for plenty of aromatic complexity, medium to full body, and savory flavors. The wine has yet to reveal its considerable potential, so give it several more years of bottle age and drink it over the following 10-15 years." "Since they launched the Napa-based label Amuse Bouche in 2002 – an homage to the soft yet structured allure of the Merlot-centric right bank of Bordeaux – Schwartz and Barrett knew that they wanted the wine to resonate for both the eye and the palate... 'We set out to craft an amazingly delicious right-bank style using Merlot and Cabernet Franc...Amuse Bouche gets a little Cabernet Franc blended in, adding backbone and structure to the Merlot, which is so voluptuous and soft.'" In the dry style characteristic of the Lelarge house, this is a finely delineated wine with fresh, crisp lines of acidity cutting through bright citrus and green-apple flavors. The wine is light on the palate without sacrificing depth of flavor. It is showing good signs of maturity so drink now—2018. Blend: 65% Meunier, 20% Pinot Noir and 15% Chardonnay, this brut contains 20% of reserve wines. This blend emanates from the selection of the vineyards: Les Cumines, Les Pierres, Les Forts Monts, and Les Maupas. Flavor: Soft, well-rounded and creamy. This blend express the terroir of Vrigny, along with the family know-how. It has fresh citrus and tangy orange zest fruits that are tight, crisp and with a direct line of acidity. Aging: Aged for three years in the cellars. Being an Independent Winegrower is a commitment to high working standards. The sign of demand for quality, the emblem of independent viticulture, enriched by the diversity of the soils, by the climate, by the know-how, by men and women. This beautifully balanced wine has dryness compensated by the intense fruitiness, the crisp mineral texture and a creamy mousse character. It is ripe, full of both apple fruits and lime juice with a tight aftertaste that will soften in the next months. Pinot meunier has often been described as a workhorse grape, useful for contributing fruity aromas and youthful suppleness to a blend, but somewhat rustic and uninteresting on its own, not age-worthy and most definitely not for serious wines. Yet while the grape hierarchy is unlikely to change any time soon, a handful of small grower-producers in Champagne are demonstrating the very real potential of pinot meunier to produce wines that are not merely palatable but superb: distinctive, joyful and intriguing. Blend: 100% Pinot Meunier from the harvest 2010 only. 2010 was the first organically certified harvest. This blend emanates from the selections of these blocks: Les Pierres, Les Fourgons, Le Jour, Sous la ville. Flavor: First aroma; brioche, then it opens up on yellow fruits and plums with very subtle hints of orange peel. In the palate, crispy yellow fruits. Liveliness and mineral finish. Aging:Aged for three years in the cellars. We loved this wine. And we had the great pleasure of meeting the winemaker and namesake, Clemence. The wine is blended pursuant to "family secrets" and represents the "essence of natural winemaking." With all the tradition, style and "methode" of Champagne, this blend of 100% Pinot Meuniers is a world apart. would be hard to imagine working the harvest without Dixie! Popular in London and throughout Europe, big British retailer, Uvinum, reports Elpenor is sold out! Might be because Harris Imports brought a shipment to Asheville! Shop Elpenor @MetroWines. This wine results from the combination of the four main grape varieties of the Dão region: Touriga Nacional, Tinta Roriz, Alfrocheiro and Jaen. Deep ruby colored with an intense aroma of wild berries and bergamot. In the mouth it is full-bodied, without losing its elegance. The aftertaste is long and complex. this is the entry level Red for Julia Kemper. See review below of Touriga Nacional. 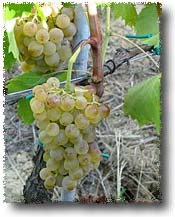 Grapes from vines grown strong in an heavily mineral based "terroir" benefited by abundant sunlight and a mild climate. Aged in French Oak Barrels, this is an elegant wine with great complexity. Purple-colored wine with rosemary and violet aromas combined with a hint of toast and coffee. The “in mouth” sensation reveals a full-bodied and concentrated structure. Popular all over Europe, highly reviewed by Robert Parker of Wine Advocate and Jancis Robinson, you won't find this wine anywhere else in town! 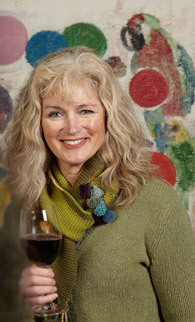 Julia Kemper is an attorney, the owner and the winemaker for Julia Kemper wines. 90 Points from Robert Parker. Read this and other reviews HERE. Kemper says: To produce a high quality wine implies an extensive knowledge, work and constant learning, and it implies above all, dedication and a tremendous passion. This passion is on our family – Melo Kemper, since 1614, and their values were passed down from generation to generation. Therefore, we have adopted organic farming, hence, like our forefathers, we believe in the respect for Earth and biodiversity. We believe in the balance between nature and we do not want to interfere in it. The Philosophy: Our mission is to incentive the passion for Dão wines throughout the World in a way that is both differentiating and innovative and in perfect harmony with nature. We aim to make known the nobility, elegance and character of a wine that is still hidden by grand mountains. Produce a high quality wine implies an extensive knowledge, work and constant learning, and it implies above all, dedication and a tremendous passion. This passion has been on our family – Melo Kemper for more than 400 years and their values were passed down from generation to generation. Therefore, we have adopted organic farming, hence, like our forefathers, we believe in the respect for Earth and biodiversity. We believe in the balance in nature and we want to participate in it. All this in order to produce a Boutique wine, elegant, with a delightful acidity, floral aromas and an amazing texture, that only the ancestral wisdom of a brand like JULIA KEMPER may achieve. The Region: Situated in the heart of Portugal, Dão region is one of the oldest wine regions in our country, a region of contrasts and stories.The region is a veritable museum of vine and wine out in the open, since we can still find, at every step, traces of the past. References to vineyards and wine in charters of almost all municipalities and municipal ordinances attest to its great social, economic and religious importance throughout history. This is the first demarcated region of pasture to be regulated in Portugal in 1910, although it was created in 1908. The rugged terrain, surrounded by a set of tall mountains that protect it from outside influences (at west, Serra do Caramulo, south, the lush Buçaco, north, the impressive Serra da Nave and east, the imposing Serra da Estrela), which constitute an important barrier to humid masses of the rugged coastline or continental winds, the small farms and the lush green vegetation of all shades, alternating with rock, contribute to the almost anonymity of the vineyard in the landscape. And yet, the vines are planted there in about 20,000 hectares, where the people of Dão enjoy the excellent edapho-climatic conditions to explore their ancestral soil capability. The region hydrographic network is characterized by a rigid trace, indicating a clear adjustment to the landscape physical shape, where the two main rivers of the region run – the Dão and Mondego – whose courses have a high level of parallelism while running over the granite massif. The Alva River is the third major watercourse in the region. The vineyards are located on lands of low fertility, predominantly granitic with several outcrops of schist from the south and west of the region. Yet located at elevations around 800 meters, it is between the 400-500 meters where it grows in greater quantity. The weather, despite being seasoned, is cold and rainy in winter and hot and dry in summer, but with microclimate variations of great importance to the quality of wines; and thus fulfill the unique conditions for producing wines with distinct and well-defined characteristics. In addition to the special edapho-climatic conditions, the particular characteristics of Dão wines are deeply related to the use of the most appropriate varieties, within the recommended for the region. The main varieties for the production of DOC Dão wines are: Alfrocheiro, Jaen, Tinta Roriz and Touriga Nacional, in reds, and Encruzado, in whites. Let’s get lost in the paths and landscapes of Dão and make the much-needed stops to contemplate what this land brought to your glass. WE-Women for Expo is an Expo Milano 2015 project in collaboration with the Ministry of Foreign Affairs and International Cooperation and the Arnoldo and Alberto Mondadori Foundation. The President of Women for Expo is Federica Mogherini, the Honorary President is Emma Bonino, and the Executive President is Marta Dassù. WE-Women for Expo addresses nutrition and sustainability and it does so, for the first time, by placing female culture at the heart of a Universal Exposition. All women are repositories of practices, knowledge, food-related traditions, and have the ability to feed themselves and others – of "taking care”, both of themselves and others. Thanks to WE-Women for Expo, the women from participating countries at Expo Milano 2015 will be invited to speak about nurturing the body, and nurturing freedom and intelligence. Our conviction is that global sustainability will be achieved through a new alliance between food and culture, and that the creators of this new approach and new pact for the future will be women. By this, we mean artists, writers, celebrities, but also ordinary women – because all women can belong to WE, a network of ideas welcoming women from around the globe. One of the initiatives of WE-Women for Expo is a simple, symbolic invitation: share your recipe for life. In other words, tell us a story about a dish that holds particular emotional value for you, that is more than anything a story from your life. For, we are all nurtured by memories, suggestions, and personal experiences. WE-Women for Expo is being developed through special projects and initiatives so as to create a progression of awareness projected toward the future that takes its cue from a variety of creative inspirations. WE-International – A network of women who have distinguished themselves on the international scene and who are proclaiming one single, clear message: the need to draw the world's attention to the issue of wastage of food and of resources in general. WE-Women for Expo International has created a document-manifesto called the Women for Expo Alliance, the new global alliance of women against food wastage, whose purpose is to strengthen the role of women in agriculture around the world. The Novel of the world - A wide-ranging, global narrative, composed of stories, memories, and feelings related to food. This is a book written by many different hands, each with own their own expertise, and each in their own fashion. The act of feeding ourselves, described from the four corners of the earth, will be explored through a variety of forms, styles and perspectives. The ensuing collection will be preserved for the future. The Novel of the world (Romanzo del mondo, in Italian) is to be published in May 2015.